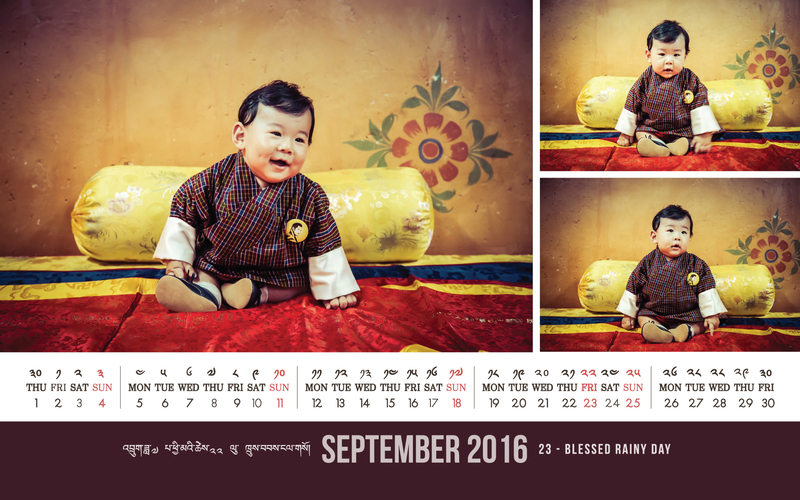 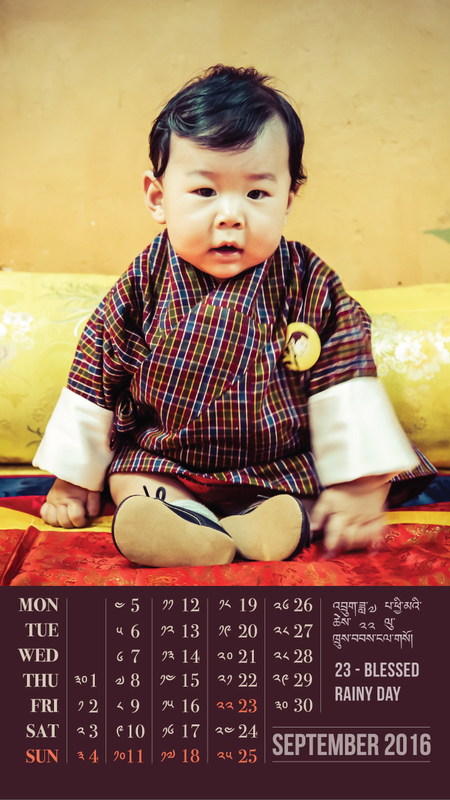 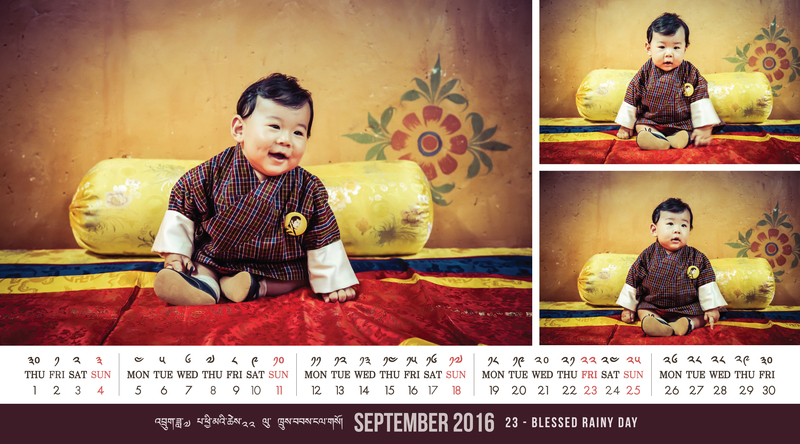 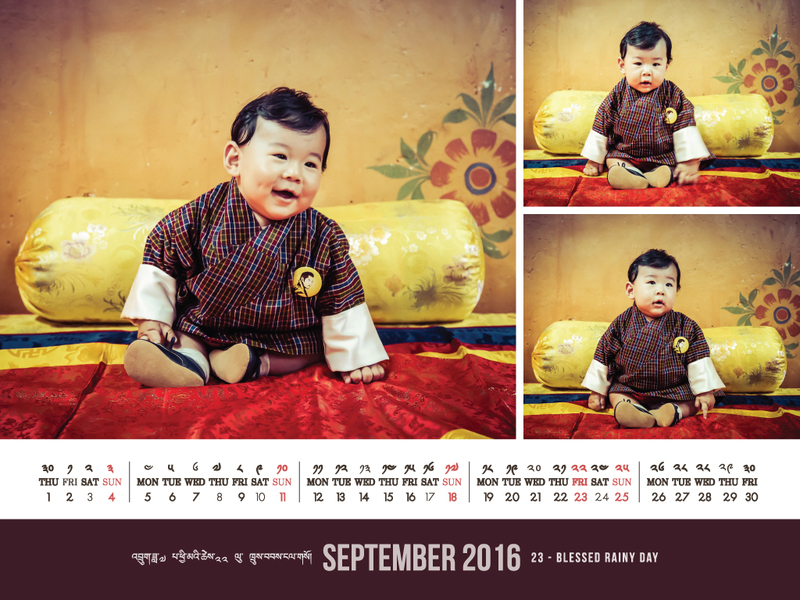 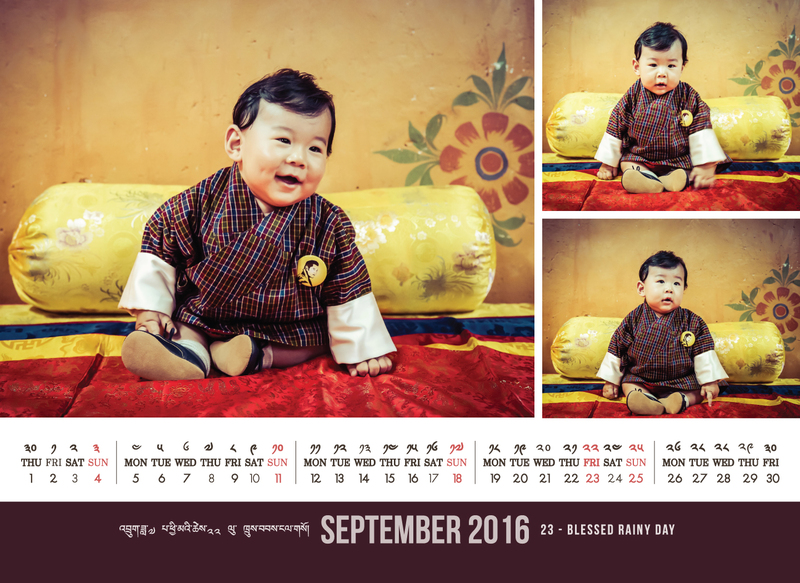 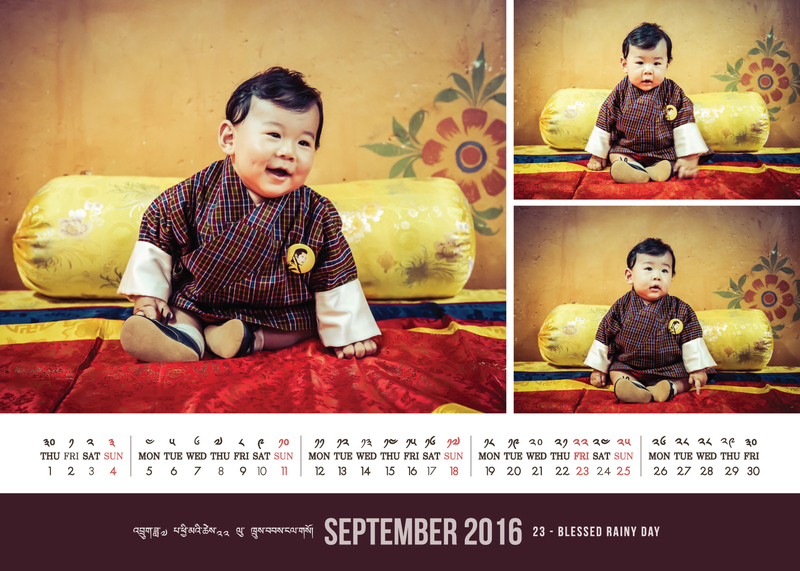 Our September calendar is a treat, featuring these adorable images of His Royal Highness The Gyalsey, as photographed by His Majesty The King. 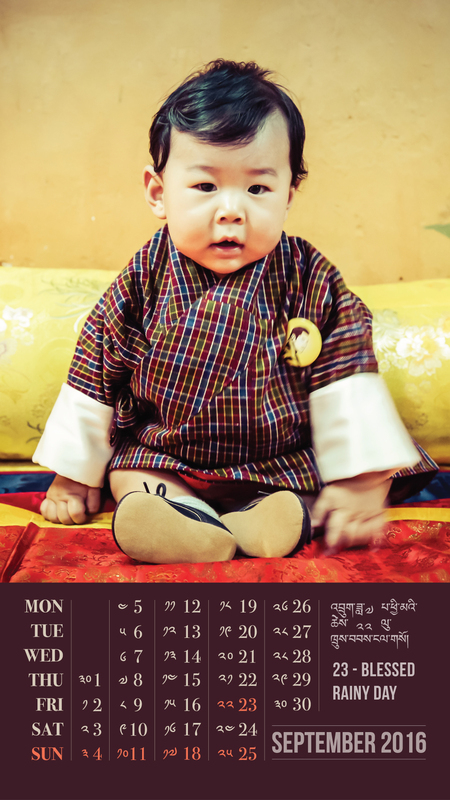 It is a joy to see our little Prince growing up so quickly, and touching to see him already begin to carry out Royal Duties. 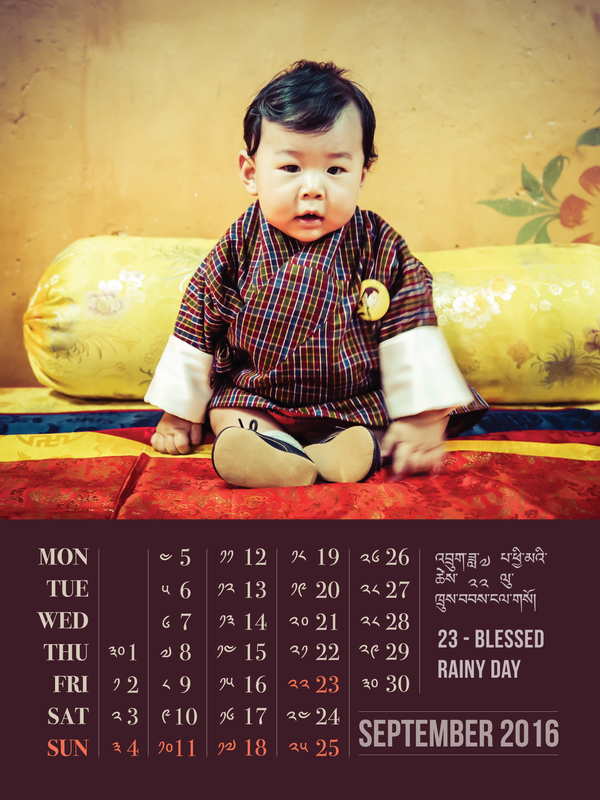 I see that you have the Blessed Rainy Day public holiday on Friday, the 23rd. Has there been a change ? 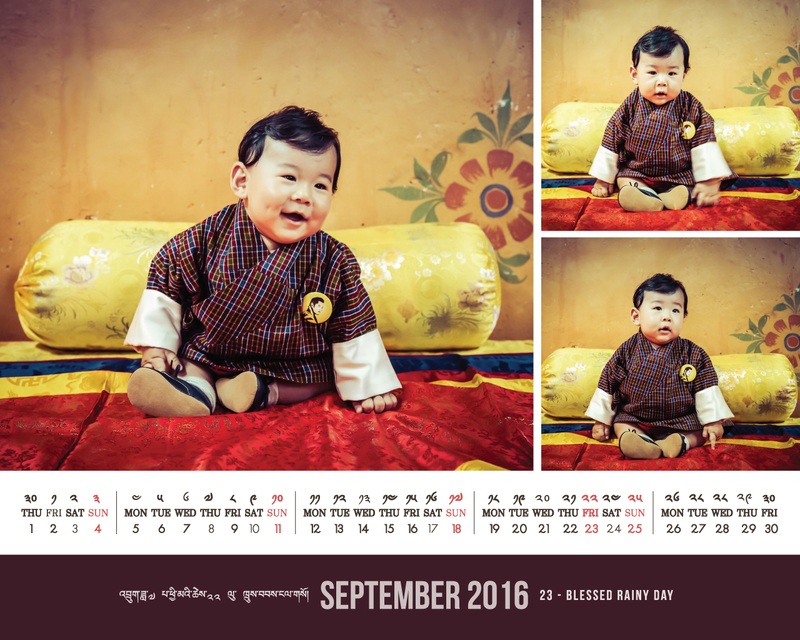 Did the official announcement of Bhutan public holidays for 2016 not have that holiday on September 22 ? It looks like their Sept 22 is is our 23rd. But then what happens to their 25th?